S I/c Robroy Blankenship, son of Mr. and Mrs. W. D. Blankenship, graduated from Wilson High School. 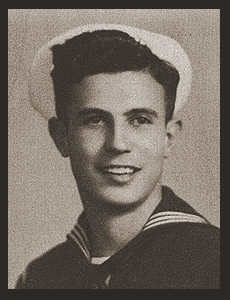 Entered the Navy in Dec. 1944, trained in San Diego, and Los Angeles, Cal. ; went overseas in Oct. 1945 served in Okinawa, Japan and SW Pacific.